There are two words that continuously resurface in every work arena today: equality and diversity. Finally, women’s equality in the workplace is at the forefront of public debate. I want to focus on the latter, the great value of diversity in the workplace. Diversity is about gender too of course, but it’s the inclusion of different cultures, ethnicities and religions that yield the greatest opportunities in the globalisation of industry. Understanding and appreciating these differences, in addition to education backgrounds, sexual orientations and age, is one of the most important emerging leadership competencies. Only 1 in 16 of current FTSE 100 board members is from a Black, Asian and Minority Ethnic (BAME) background[i] and only 1 in 15 people from an ethnic minority background are in a management position. [ii] Yet these ethnic minorities make up over 14% of the greater population[iii]. Why is this group so underrepresented in influential positions? Simply put, there are less opportunities for exposure and recruitment into the greater business markets for minority candidates. The affirmative action movement in America, that helped minority youth gain equal access to their white counterparts, is seen by some as controversial and divisive. However, without affirmative action, access to education and opportunity for talented, young, non-white kids are incredibly limited. Even with so-called “equal opportunity”, there is a struggle for people of colour to reach the higher echelons of education and industry. Arguably, this is more evident in the UK. While the dynamics of race relations here are different from those in the States, equal opportunity for people of colour in this country is deeply rooted in the structures of education and industry. Traditional hierarchical businesses find it more difficult to implement innovative, diverse change. As a culture, the British are averse to confrontation and transformation. It is human nature to gravitate towards like people; however, in a global environment, diversity is crucial to the strength and success of any industry on a domestic or international level. What are the benefits of a diverse workforce? Fortunately, forward-thinking industry leaders recognise the importance of having a diverse team. When managed properly, cultural diversity can provide an organisation with competitive cost advantages and makes good business sense. LinkedIn’s Global Recruiting Trends 2018 pinpointed diversity as “the biggest game-changer and most embraced trend with over half of companies are already tackling it head-on.” Far from being a mere box-ticking exercise, the same report revealed that while 78% of companies prioritise diversity to improve culture, 62% do so to improve company performance, and 49% say it is to better represent their customers. – Use a skill-based blind hiring tool such as Hundred5 or Gapjumpers to focus on candidate’s skills. – Train interviewers in recognising “affinity bias” – the tendency to be drawn to people like ourselves. – Obscure names on CVs or use software such as Talent Sonar that hides candidates’ personal details to avoid unconscious preconceptions. – Use the connections of minority employees you already have to widen your recruitment pool. Ask them to post the job on social media or make a referral. – Once you have a diverse workforce, build on this by profiling diverse employees in recruitment materials, job interviews and on the company website. Diversification comes with challenges and friction, but proactive recruitment is necessary as well as diversity training for leaders. The pros outweigh the cons. Organisations should view it as an opportunity rather than a limitation. Strong stakeholder leaders are leveraging cultural differences to gain fresh perspectives, recognise the value of diverse opinions, help others appreciate the value of diversity in building a cohesive, successful global business. By encouraging cross-cultural communication and employing diversity training within a company, workplace diversity will inevitably lead to mutual respect among all employees. Change is inevitable, so enlightened stakeholder leaders should embrace it and encourage their teams to engage and contribute to building a strong foundation for cultural change at work. – Do this with inclusion and diversity training and internal communications. Reinforce with video content, employee profiles and guest speakers. – Illustrate how diversity of thought within the company can lead to innovation and, if appropriate, a better understanding of the consumer. I encourage you to follow your passion and be true to your values and beliefs. Embrace the challenges that come to you this New Year, both exciting and difficult. Be filled with confidence and self respect because the river of life flows smoother that way. May your soul be full of generosity and kindness and may it return to you in abundace. 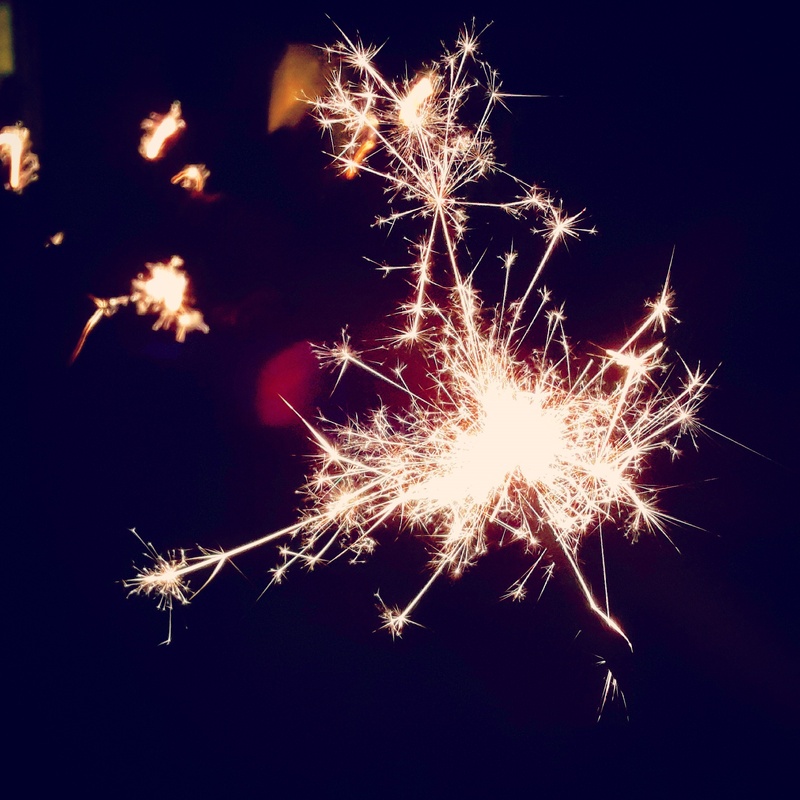 I hope your 2015 is filled with much love, happiness, good health and prosperity…oh, and a bit of sparkle! The dictionary definition of hero is: A person who is admired for having done something very brave or having achieved something great. Where would we be without our heroes to inspire us, to motivate us, to help us realise what we can achieve when we follow our passions and marry them with our values and beliefs. A true hero never asks to be put on a pedestal. Their achievements are powered by a deeply imbedded desire to go above and beyond average to carry out something life changing and selfless that has impact on not only themselves but the greater human condition. There are super heroes and everyday heroes. We can’t all be Oprah, Mother Teresa, Gandhi, or Dr. king. However, it’s my belief that we all have a hero within, but they manifest themselves in many forms. You don’t have to leave your mark on the world to be a hero. An everyday hero is the parents who dedicate themselves to raising good, happy, morally conscious children with and a zeal for life. A hero is the teacher who inspires her students to value education and intellectual curiosity. A hero is the public servant who puts their life on the line for our well-being. A hero is the musician who creates beautiful melodies that can stir our emotions and imaginations. A hero is the doctors who dedicates themselves to life saving research or the spiritual guide who rekindles our faith and hope. There are so many different kinds of heroes. You see we all have the hero in us. They come out when your passion for something is so strong that you’re compelled to act for the power of good. Never under-estimate the impact you have on others or the hero in yourself. You don’t have to touch the world to be a hero, just touching one person in a positive way can make any and all of us an everyday hero. 1. He’s actually your boyfriend. I know this seems obvious but if you’re reading an internet list about him and whether he’s your boyfriend and he won’t allow you to actually call him your boyfriend, he’s probably not a “good” boyfriend. Good guys are good people and good people know who they are and what they want and are confident enough to go after it — whether it is a relationship and a family or (for now) working so much they don’t have the time and energy left to invest in that — but either way, you’ll know. There’s no shadyness present. 2. You feel lucky to have him. Like everyone, I suffer periodic lows and the bouts have increased with age and changing hormones. Thankfully they have never been unbearable. Nonetheless, there have been times when I’ve found motivating myself nearly impossible. Have you ever felt trapped inside your body on auto pilot and even the easiest tasks seem impossible to complete? Perhaps you just feel apathetic about everything. Are papers and unopened mail piling up on your desktop or do you have dozens of emails that need to be read in your In- Box? Ugg! Feeling low is such a bore and breaking through the haze is not without its challenges. When I’m in a prolonged funk, I have some tried and true tricks I pull out of my bag to get my spirits lifted and my creative juices flowing. Before trying these simple steps, if you’ve been in the doldrums for more than a few weeks, I urge you to reach out to your GP for a once over. You could be suffering from proper depression and may need medicinal help to move you out of the dark and into the light – and there’s no shame in that. Start by tuning out as much negativity as possible. That includes the news. Don’t count on the media to focus on the positive. Shut out anyone who is an energy drainer and anything that gives you bad vibes. Next, give yourself a swift kick up the backside with some brisk exercise. I know it’s hard but you can start by putting one foot in front of the other. Walk instead of ride when possible. If you can manage to drag yourself to the gym, that’s even better. Adrenaline will restart your flow. Attack the clutter around you. Address your neglected responsibilities. Start with a ‘to do’ list and check off each job as you complete it. I guarantee you will feel better when you finish. Temporarily cut out alcohol and sugar; you will feel a physical and emotional lift within days. Do something nice for yourself, a massage or spa moment. Go see that play you’ve threatened to buy tickets for; try that new restaurant you read about. Do whatever floats your boat, just to something. The thing to remember: life is a roller coaster. It is very rarely one long down hill slide. So hang in there you’ll be back on top again. The key thing is you have to want to make the climb. Like everyone, I suffer periodic lows and the bouts have increased with age and changing hormones. Thankfully they have never been unbearable. Nonetheless, there have been times when I’ve found motivating myself nearly impossible. Have you ever felt trapped inside your body on auto pilot and even the easiest tasks seem nearly impossible to complete? Perhaps you just feel apathetic about everything. Are papers and unopened mail piling up on your desktop or do you have dozens of emails that need to be read in your in box? Feeling low is such a bore and breaking through the haze is not without it’s challenges. Next, give yourself a swift kick up the backside with some brisk exercise. I know it’s hard but you can start by putting one foot in front of the other. Walk instead of ride when possible. If you can manage to drag your self to the gym even better. Adrenaline will restart your flow. Attack the clutter around you. Address your neglected responsibilities. Start with a to do list and check off each job as you complete it. I guarantee you will feel better when you finish. Temporarily cut out alcohol and sugar you will feel a physical and emotional lift within days. The thing to remember is life is a roller coaster. it is very rarely one long down hill slide. So hang in there you’ll be back on top again the key thing is you have to want to make the climb. I don’t lament when I look in the mirror. Yes I do see the manifestation of a few lines slowly creating small cracks in my face. And, of course my skin is not as tight as it used to be. However, what overrides these inevitable signs of aging is the wisdom and beauty that comes with half a decade of life experiences. I see a strong woman who’s weathered the ups and downs of life without falling of the roller coaster. I see an educated woman who has more thirst for knowledge now than I did in university; a woman who seeks enlightenment for not only me but others as well. I see a grateful woman who has benefited from the love and support of dedicated parents who put their children before themselves. Without them I would not be experiencing the joys and challenges of raising and nurturing my family as well as sharing love and compassion with others. I see a healthy fit woman who has benefited from a youth full of sport and still has a body that can match some people half my age. I’m not saying it doesn’t require hard work to keep in shape these days but the physical and mental benefits speak for themselves. I see a woman who marched to the top of my first career, no hold bars, enjoyed the heady high and then gave it up to create a more meaningful and satisfying path for myself. I still seek professional success, but it requires a lot more heart and soul the second time around. And, I’ve learned when you follow your passions and you marry them to your values and beliefs, the financial rewards eventually follow. I see a woman of unwavering faith, spirit and belief in a force greater than the human condition because without it I would be nowhere. I see a woman who is living life, has experienced real highs and lows, has witness birth, death, marriage, divorce, and marriage again. I have experienced true joy, devastating heartbreak, victory, defeat, cruelty and kindness. I have the love of a good man and an inspiring daughter. I am blessed with an amazing family and a few true friends. Like many of us at mid-life, I am woven from a rich, textured and durable clothe. So, no I don’t lament when I look in the mirror because I am proud of what I see. It’s all real and all me. Above all, I can say in all honesty I am happy because I am 50 plus and fabulous. I hold myself in high esteem. I don’t take my good fortune for granted. And, yes there is always room for improvement. I recommend loving yourself because it all starts with you.